Geosolutions are desperately needed to solve the world’s big problems, Esri president Jack Dangermond told 1,800 people at the 2015 Esri Developer Summit (DevSummit). Esri and the developer community can work cooperatively to build technology to tackle these issues, he said. More creative developers are needed to forge solutions, Dangermond said, encouraging the audience to nurture new talent by being a mentor. 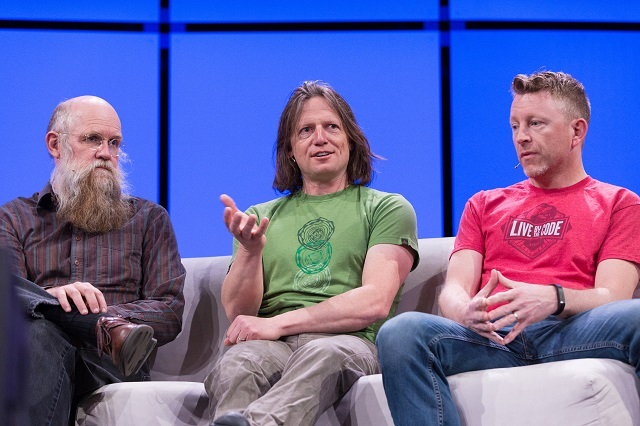 “The interest we have is growing the next generation—we need more of you,” he said, opening the largest annual Esri developer event, which was held March 10-13 in Palm Springs, California. 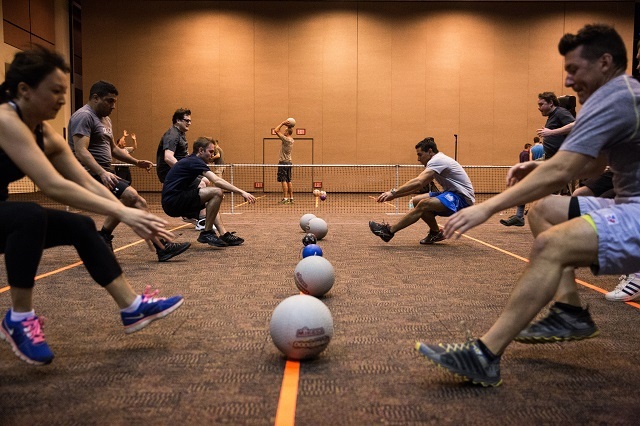 Someone who is at the forefront of coming up with ideas and solutions in the mobile development world is John Tomizuka, cofounder and chief technical officer of Taqtile, a Seattle, Washington-based mobile app development company. His firm has developed apps for President Obama’s inauguration in 2012 and NBC’s coverage of the wedding of Prince William to Kate Middleton in 2011. 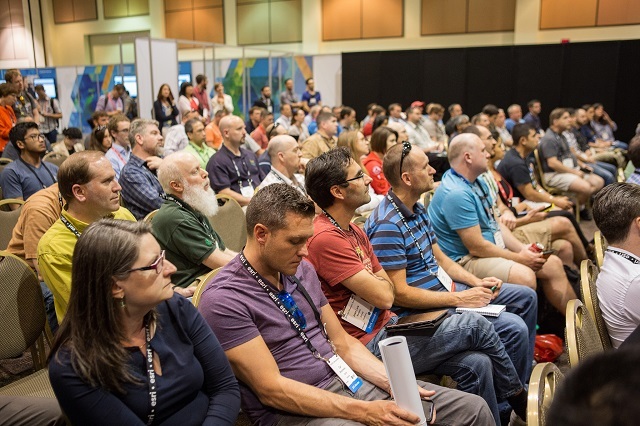 Moravec and the other attendees look forward each year to hearing about Esri’s new GIS technology. 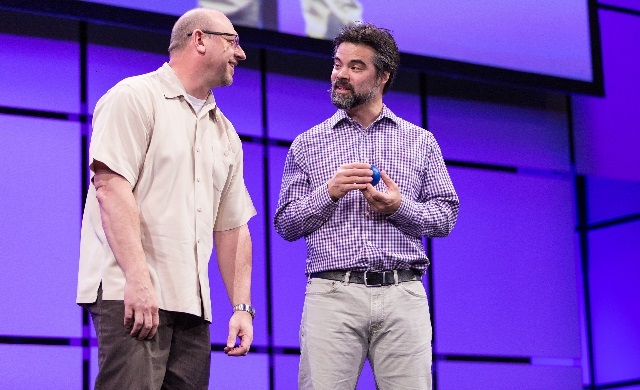 They weren’t disappointed by what Esri director of software development Sud Menon, and McKinney, and their team of software engineers brought to the stage. He highlighted Esri’s new 3D web GIS technology, including web scenes that represent 3D maps. Scene layers represent features displayed in 3D including points, lines, polygons, objects, and meshes. “You can also work with map and image tiles and dynamic map and image layers,” he said. Menon emphasized the platform’s ready-to-use maps, apps, imagery, demographic information, and other data Esri offers. The apps include Esri Story Map apps, Explorer for ArcGIS, templates, Dashboard for ArcGIS, Collector for ArcGIS, GeoPlanner for ArcGIS, Esri Maps for Office, Web Scene Viewer, ArcGIS Open Data, and a crowdsourcing solution template. Another crowd pleaser was AppStudio for ArcGIS, currently in beta. Developers can use AppStudio for ArcGIS to build a single mapping app that will run natively on multiple platforms including Microsoft Windows, Apple iOS and OS X, Android, and Linux. 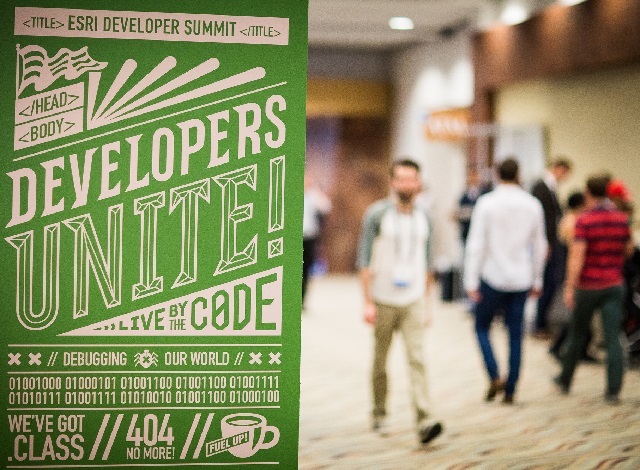 The 2016 Esri Developer Summit will be held March 8 –11, with pre-conference training sessions scheduled for March 6 –7. 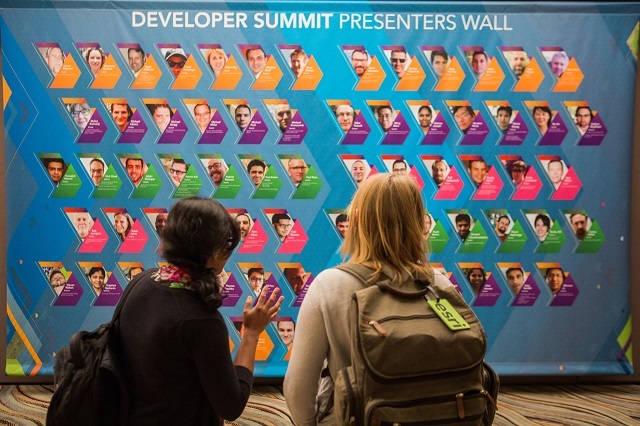 If you have questions or feedback about the DevSummit, send a Tweet to @EsriDevSummit or e-mail devsummit@esri.com.